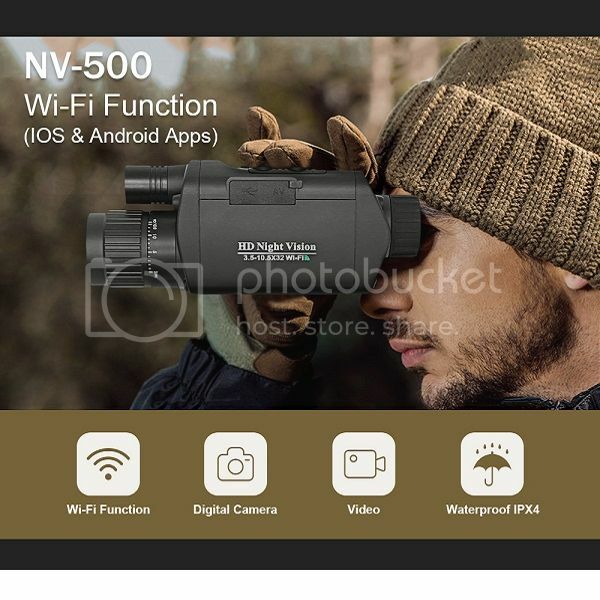 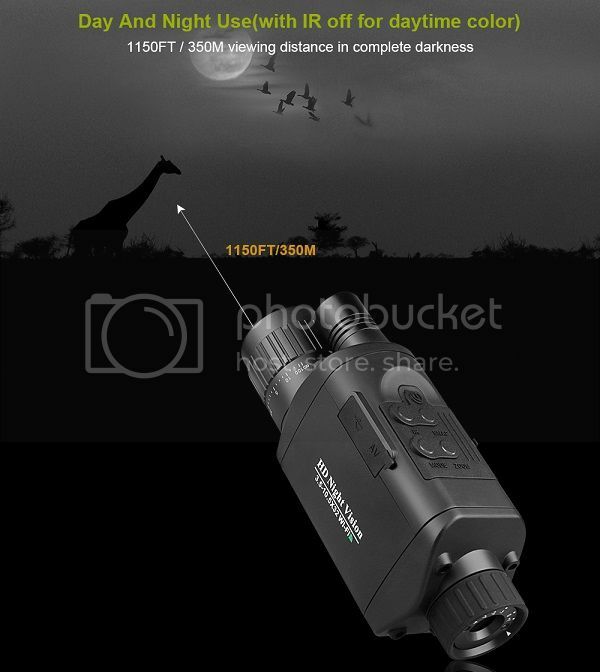 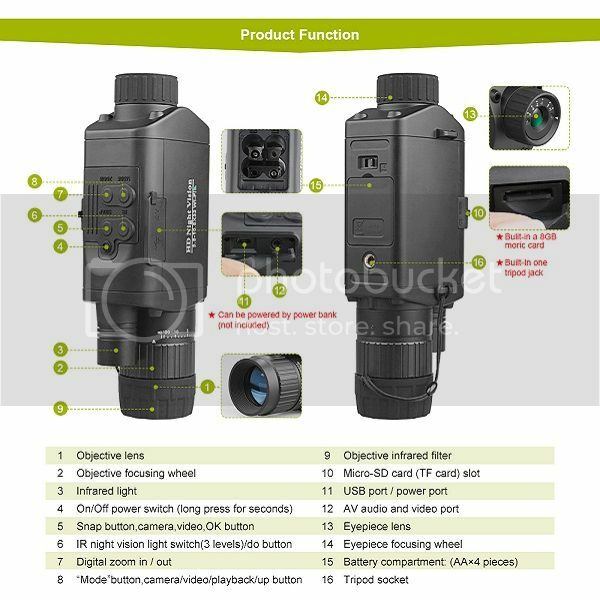 Advanced Digital Wireless wifi Night Vision Monocular with 3.5 x magnification, 1.5x / 2x / 3x digital zoom and 32mm objective lens, 1.5" TFT LCD display. 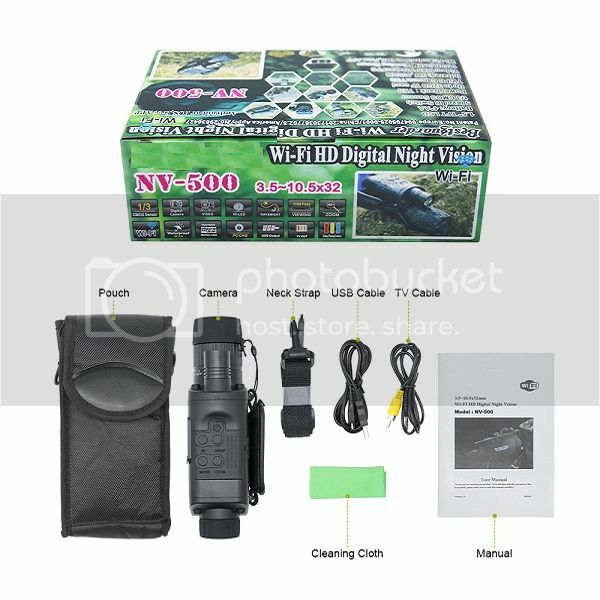 Day or nighttime use (Daytime color with IR off); built in Infrared Illuminator for up to a 350m/1150ft viewing distance. 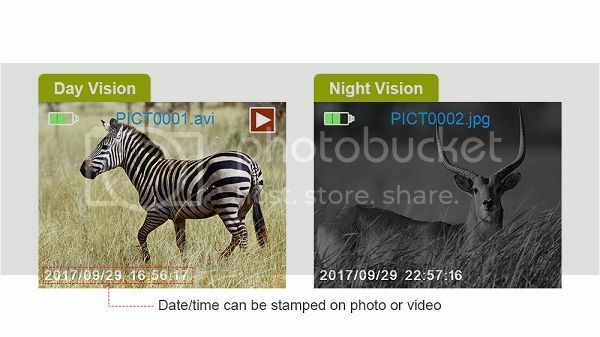 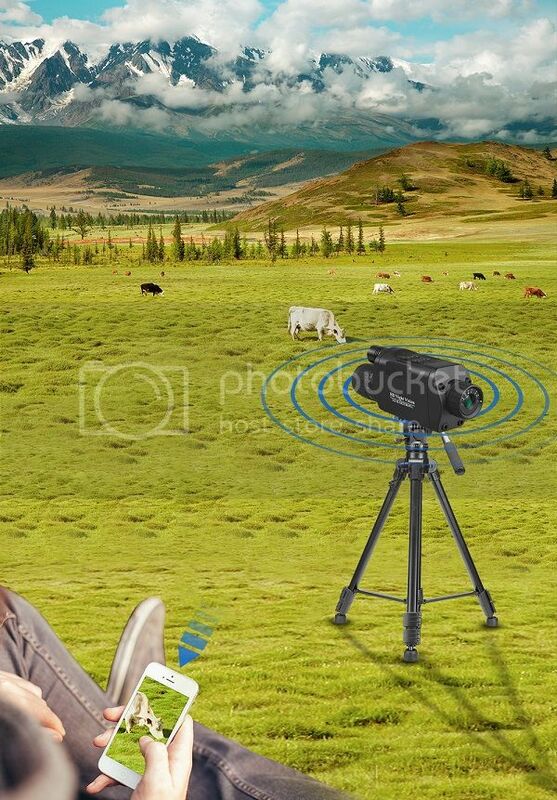 Support wireless Wi-Fi Picture and Video Transmission with free APP compatible with most Android or Apple IOS devices, such as iPhone X 8 7 Samsung Galaxy S9 Note 8 etc. 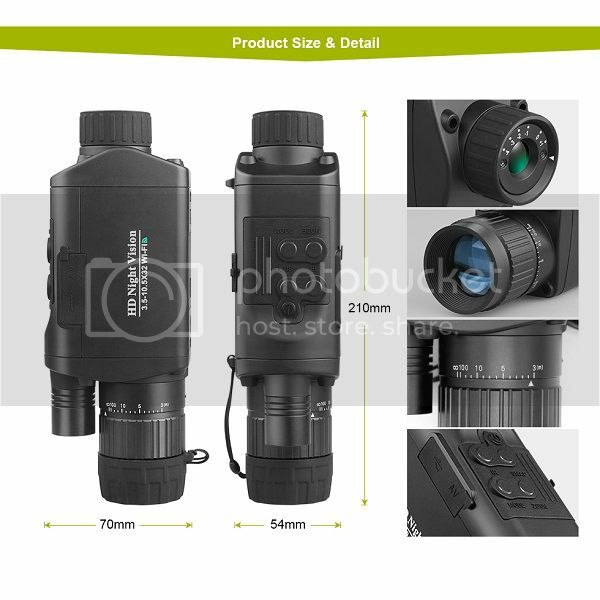 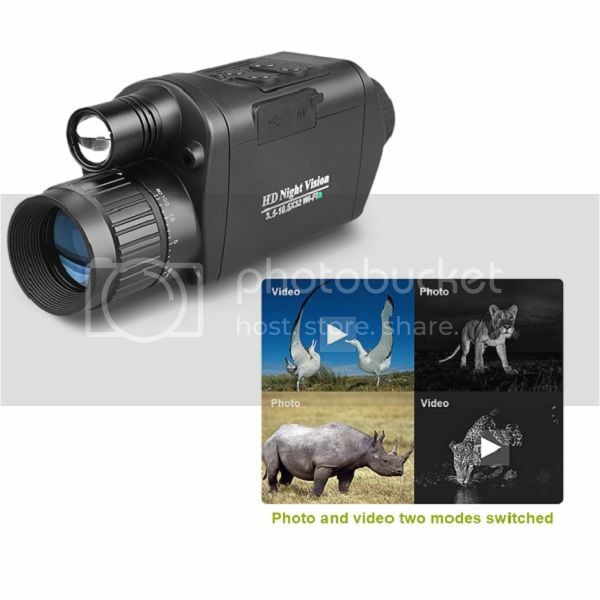 Widely used for: Hunting, Scouting game, security and surveillance, Survival, Camping fun /exploring caves, Nighttime navigation, Night fishing and boating, Wildlife observation, Animal Search and rescue, etc.